The long wait for a new Red Dead game may finally be about to come to an end. Rockstar Games is currently teasing fans with a daily dribble of details. And it has to be assumed that a major announcement is just a few days away. For the uninitiated, the Red Dead franchise has spawned two games so far. Red Dead Revolver in 2004, and Red Dead Redemption in 2010. Revolver was generally well-received, but Redemption was heralded as a masterpiece. It holds up too, with an amazing open-world design and spectacular storyline meaning it’s still as playable today as when it was released. There have been rumors of a Red Dead title for several years, but Rockstar Games The 8 Best Rockstar Games Of All Time The 8 Best Rockstar Games Of All Time Rockstar Games is more than just Grand Theft Auto, and its back catalog of titles deserves a closer look. What follows is a list of the best titles Rockstar Games has released so far. Read More has remained completely silent on the subject. Until now. Yesterday (October 16), Rockstar tweeted its logo over the blood red background that’s synonymous with the Red Dead franchise. 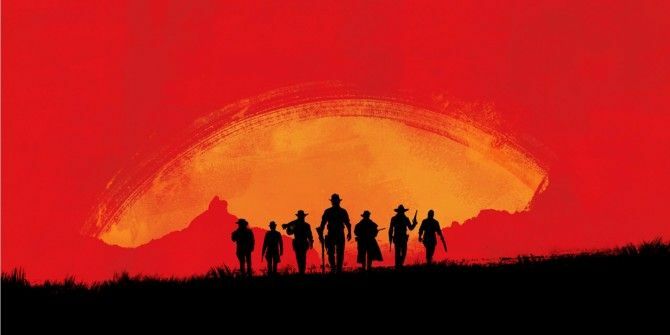 Today (October 17), Rockstar followed that up with an arty shot of seven cowboys walking into the foreground, with a moody sun glinting behind them. It looks as though Rockstar Games is going to drip-feed us the details of the Red Dead sequel on a daily basis from now until it’s ready to pull the trigger. Which will keep people focused on the company’s Twitter feed, and build anticipation ahead of the first teaser trailer. A Sequel? A Prequel? Or An All-New Game? While we have referred to the new game as a Red Dead sequel in this article, it looks more likely that this will be a prequel to the events of Red Dead Redemption. After all, the cowboy leading the group in that picture looks very much like John Marston, the protagonist in the last game. Except [Spoiler Alert!] he died at the end of Red Dead Redemption. The next Red Dead title could therefore be a prequel showing Marston leading his former gang as they travel around the Wild West 5 Incredible Games Based In The Wild West 5 Incredible Games Based In The Wild West If you want to inject a serving of the Wild West into your gaming sessions, you really need to check out these awesome games. Read More getting up to all sorts of shenanigans. The fact there are seven cowboys pictured has also drawn parallels to The Magnificent Seven, an old western recently remade for modern audiences. We fully expect Rockstar Games to keep feeding us morsels of information in the coming days and weeks. Which means you now know as much as everyone else (with the exception of Rockstar employees) knows. Are you excited at the prospect of playing a new Red Dead game? Do you think it will be a prequel to Redemption? A proper sequel starring John’s son Jack? Or a spiritual sequel with an all-new cast of characters? Please let us know in the comments below!